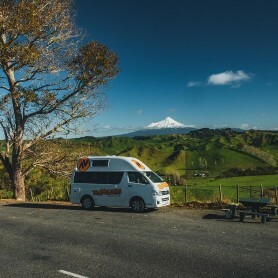 Coromandel Peninsula is an Aucklander’s favourite destination as it’s only about a 2 hour 30 drive East from Auckland. Cathedral Cove is close to Hahei, a small summer village on the east coast, with lots of caravan parks and hotels. In summer time, however, it becomes quite busy with tourists, so try to arrive early enough to park at Cathedral Cove car park (on top of the cliff) and you won’t have to walk. Cathedral Cove is a dreamy beach with golden sand and turquoise water where you can chill for the day or kayak and snorkel if you feel like it. You have to walk 30mins to reach the cove, where you’ll be surrounded by beautiful small islands like in Thailand. Our tip: get up early in the morning to catch the sunrise – guaranteed sensations! 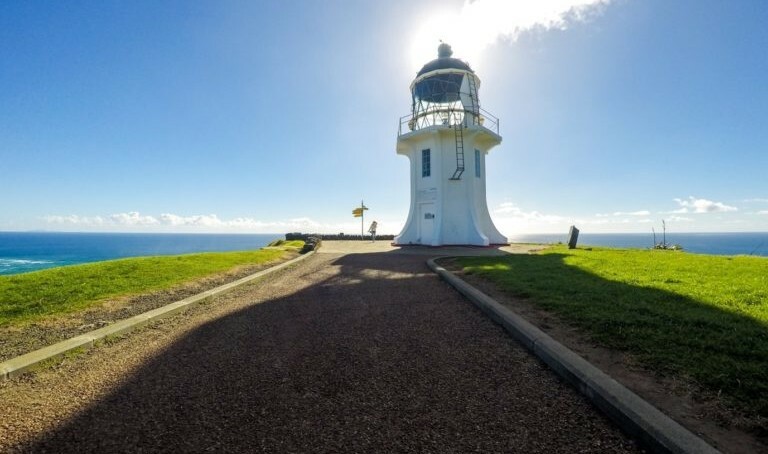 Cape Reinga is the most northern point in New Zealand, where the Pacific Ocean and the Tasman Sea meet each other. A mix of green and blue colours leave you speechless when you get there. Here, you can take part in a few walks and treks ranging between 30 minutes and 3 days. This isolated location at the end of the country is picturesque and peaceful. 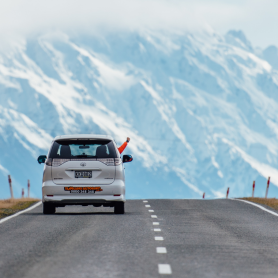 Our tip: the closest free camp is about 3 hours driving so you need almost the whole day to visit Cape Reinga if you want a free night. 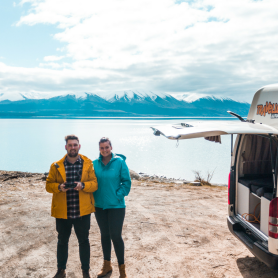 There are just a few caravan parks in this part of New Zealand – be warned! 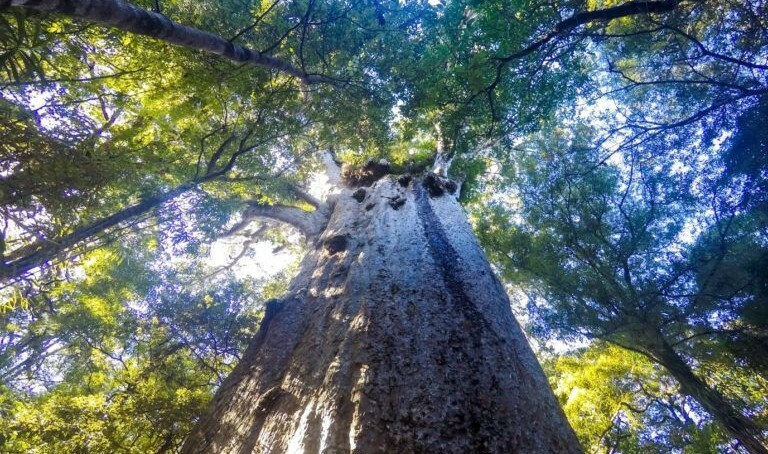 Waipoua Forest is the home of the famous Kauri trees, those giant ancient trees protected by Maoris in New Zealand. They are for some of them more than 2000 years old, and up to 50 meters high. Standing beneath these impressive works of nature, you will feel so small! There are also plenty of different walks in the forest but you will need to drive in between each walk. Our tip: Take your time to stroll with those giants and grab a delicious coffee at the coffee truck close to the northern walk. 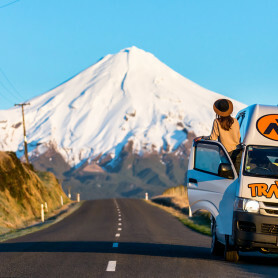 Tongariro National Park includes three volcanoes: Mount Tongariro, Mount Ruapehu and Mount Ngauruhoe. The Tongariro Alpine Crossing is an amazing 20-kilometre trek where you can discover this volcanic region. You need around 4 hours to climb and 3 hours to go down to the car park. At the top, you’ll find a beautiful blue lake, three incredible emerald lakes and a terrific red crater. You can also climb the Mount Tongariro if you feel to and you’ll need at least another hour. Our tip: get your backpack ready full of water and warm clothes, it’s really windy up there. The most important thing to do is to check weather conditions the day before. Rotorua region is an important volcanic area in New Zealand and one of the most active geothermal regions in the world. So you have to see it and smell it! 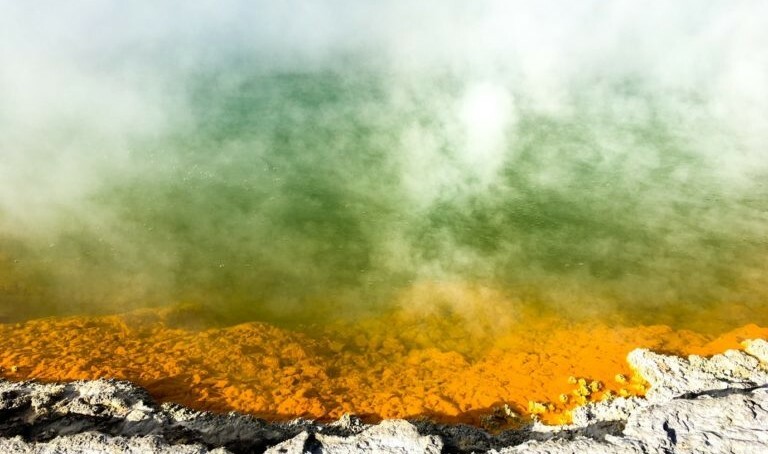 Wai-O-Tapu is a colourful geothermal park which explains you all the volcanic activity in Rotorua region.